Twickenham Experience has reopened its South Stand conference centre following a refurbishment. The South Stand has 12 rooms and the capacity to host over 1,200 delegates. A new business centre and marketing suite has also been built. The business centre offers clients and event organisers a private working space with onsite computer and printing facilities. The marketing suite will be used to entertain clients throughout their event planning process and includes a boardroom style table, plasma screen and coffee machine. Speaking about the refurbishment, managing director at Twickenham Experience, Chris Morris, said: "We are very excited to offer a fresh new look to the South Stand. 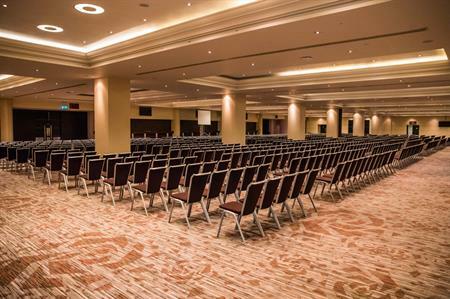 At Twickenham we pride ourselves on keeping all our facilities up to date in order to deliver the best possible service and experience to our delegates and hospitality clients. It is great to be able to showcase the new facilities after spending three months transforming the space." Twickenham Experience has reopened its South Stand conference centre following a three-month refurbishment of its conference facilities.